I am incredibly hard on shoes, and really need to wear better ones than I normally do. I’ve started cutting way back on the throwaway trendy shoes in favor of shoes I can walk 40 blocks in SF in, or wear on my bike. I love these because they’re super cute, but are made by Columbia, who is a known provider of quality outdoor gear. 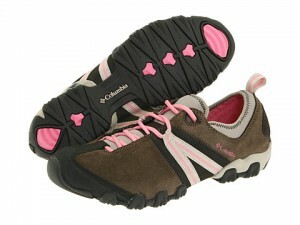 I was actually looking up a pair of shoes my roommate has, and Zappos suggested these as being similar. Also, I love that this particular color scheme is called “Mud/Lollipop”. 6/4/10 ETA: In a somewhat circuitous fashion, in a few days I will own these shoes as a birthday gift from a friend. WOOT!! This entry was posted in Daily Fashion Find, Fiscally Feasible Fashion on May 12, 2010 by Judy. I love love love this skirt. I love how light and airy it looks, and I ADORE all the pintuck and ruffle details. I seem to really like clothes that can dress up or down. I’ve realized I have drawers full of tshirts I never wear, and my “work” shirts get worn with slacks during the week and jeans on the weekends. Even my casual tops are dressier than tshirts. I love that this skirt could be worn with a more casual knit top and a pair of canvas ballet flats, or a crisp blouse and heels. Classic looks and versatility seem to be my thing. This entry was posted in Daily Fashion Find, Fiscally Feasible Fashion on May 11, 2010 by Judy. Found these Fluevog Sweet Peas when looking for the Mary Janes posted below. How fun are these? They’d be super cute with jeans and a solid colored sweater for an out and about Saturday, or even with a cute dress or skirt and a pair of tights for church… Okay, maybe not church with that sole, but you could totally pair them with a sassy LBD (Little Black Dress) and a hot pink cardi to hit the bars on Saturday night! 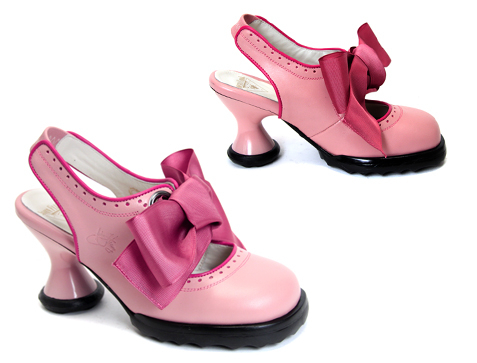 Also available in black with white piping, but the pink ones are so much more fun! This entry was posted in Daily Fashion Find, Sunday Fun Fasion on May 9, 2010 by Judy. This entry was posted in Daily Fashion Find, Someday when I have more money than sense on May 7, 2010 by Judy. 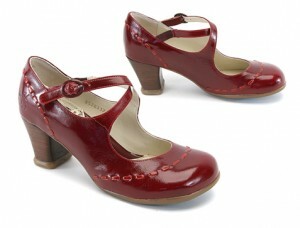 If I ever scraped together the $239 price tag, these Mailbran mary janes by Fluevog would likely be my daily wear shoes. They come in 7 colors, and I covet 3 of them (this wine, gray, and olive), like a fourth (turquoise), and would covet the black except I don’t like the brown heel with the black shoe. Looks weird. I’d normally stick a shoe over $200 in the “more money than sense” category, but these can be re-heel-capped, and are made to last a good long time. They’re not throwaway trendy for that kind of money. This entry was posted in Daily Fashion Find on May 6, 2010 by Judy. I love love love these pants. $118 at Anthropologie. Yes, another item from Anthropologie. Get used to it, I adore their stuff. Wide leg pants. Love them. 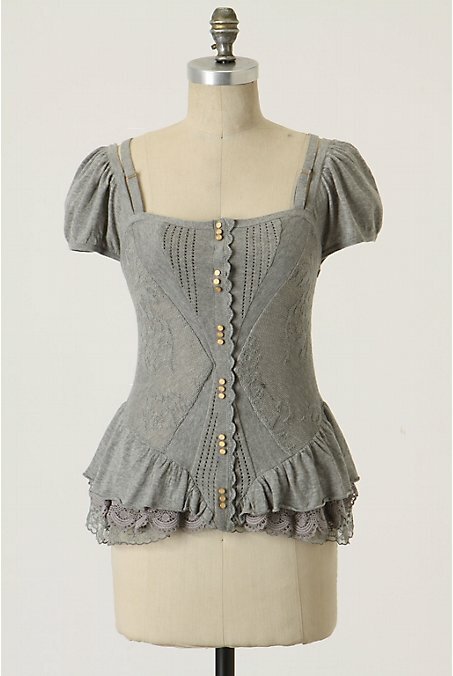 Also I love the waist details, and there is button detailing on the back that is super cute as well. But $118 for pants? This entry was posted in Daily Fashion Find on May 5, 2010 by Judy. I’ve been coveting this coat from ModCloth since it turned up on the Feather Report a couple of weeks ago. 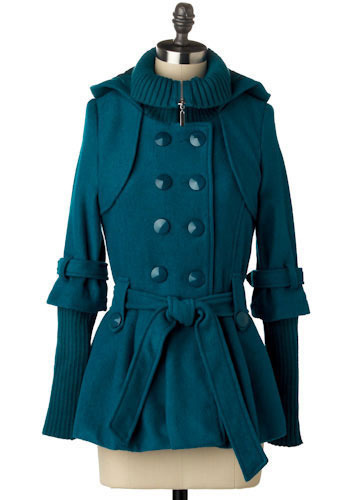 I’ll likely never own it, even though it’s priced very well for a coat. Am I the only girl who looks at this, and sees a gorgeous, feminine, fashion forward coat and thinks “Hey, this would be perfect over my Sharks jersey on those chilly evenings at the Tank”? 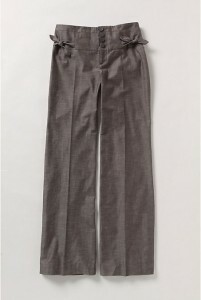 This entry was posted in Daily Fashion Find, Fiscally Feasible Fashion on May 4, 2010 by Judy. 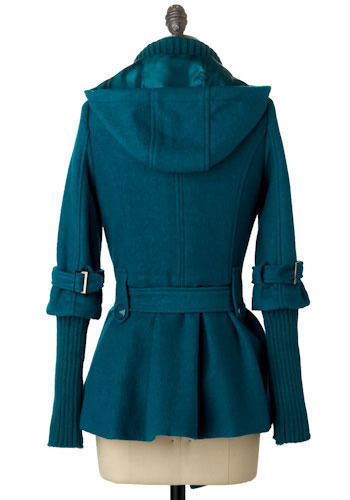 I love this sweater from Anthropologie. I will never own it, as it’s $250, but it’s so. pretty. I’ve long been a fan of Anthropologie’s clothes, but have never been anywhere near being able to wear the sizes they carry. I’ve taken more and more interest in fashion over the last couple of years, and again, not done much about how much I like the clothes because I couldn’t wear them, or the accessories I love are expensive to the point of ridiculousness. I have been known to pay over $100 for a leather purse or Shoes Made of Win and Awesome, but $650 for a clutch because of the name that’s on it? No. I can’t afford that, and even if I could, I probably wouldn’t. I’m seeing new fashion every day- I follow The Feather Report on RSS and quite often like the pieces enough to click on them, then wind up clicking around the online retailer that sells the item. I thought a fun way to get me posting again regularly is to post an item each day that I covet. Many of them will fall into the category of “Awesome But Too Expensive to Even Consider”, but I like them and it’s fun to share. 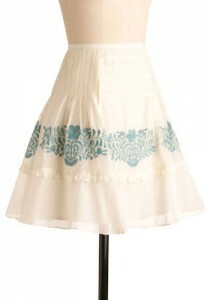 This entry was posted in Daily Fashion Find, Someday when I have more money than sense on May 3, 2010 by Judy.